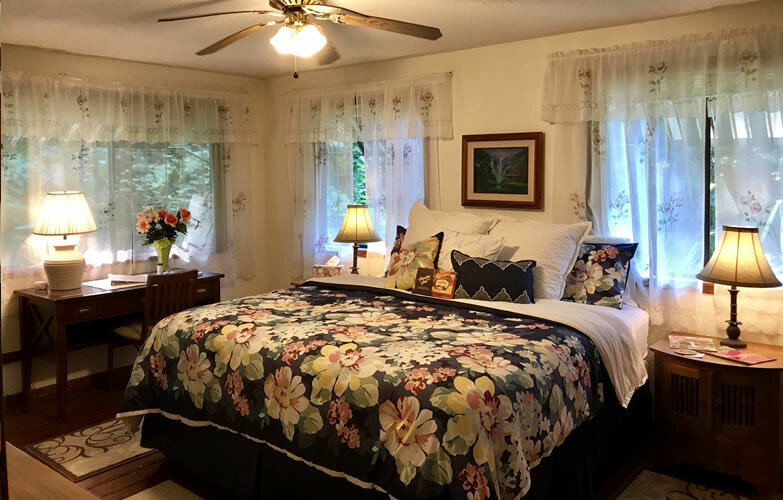 A True Country Inn Bed and Breakfast with a touch of gentle Aloha in Kailua, Kona, Hawaii. 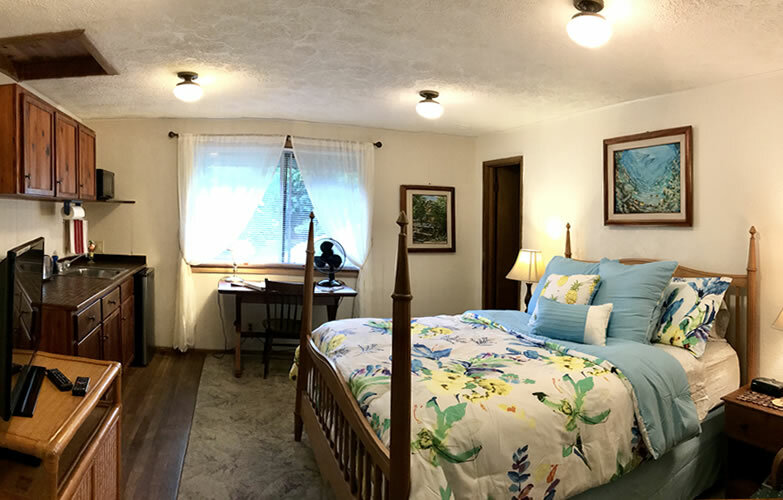 Enjoy peaceful comfort, central location and a good breakfast at a reasonable cost. 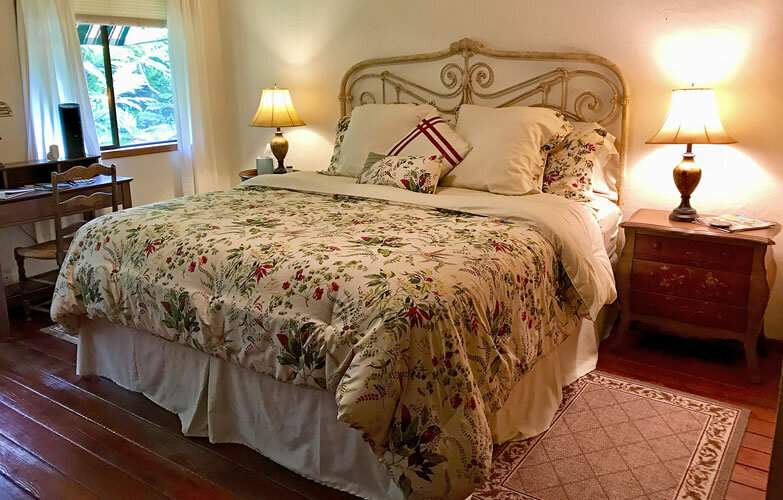 Hale Maluhia Country Inn (house of peace) Kona: A Traditional Inn complex of several buildings with five lovely bed room suites and all with private baths. 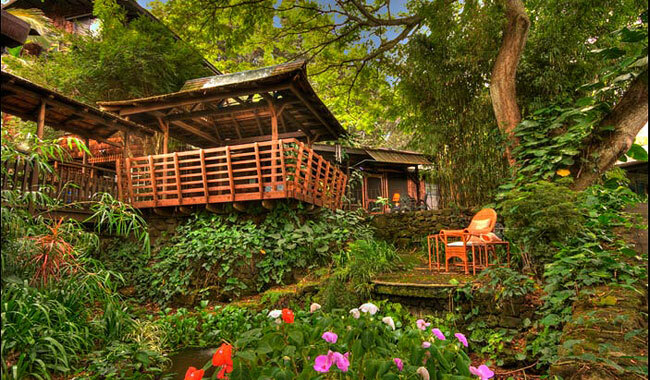 Plus two rather special cottages: A very private virtual tree house: Banyan Cottage of 850 sq. ft. with Jacuzzi & Shower. 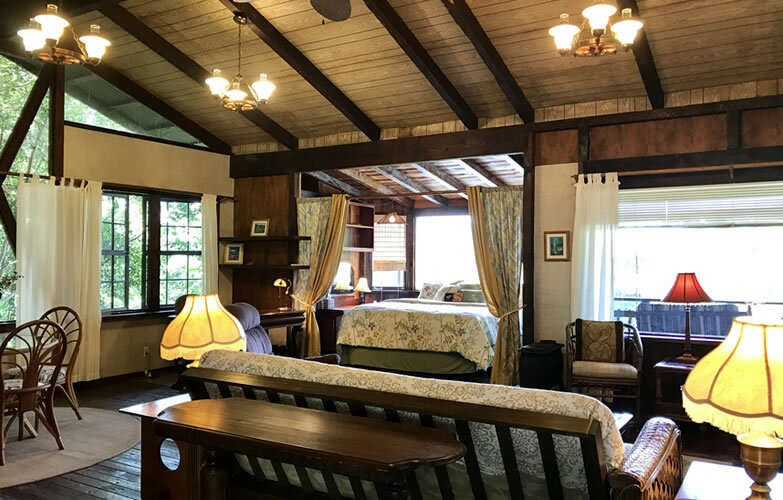 And a Japanese Tea House with shoji windows and a Carrara marble wet bath and ofuro on a near acre of tropical lush vegetation with big old trees in the beautiful Kona Coffee Country. 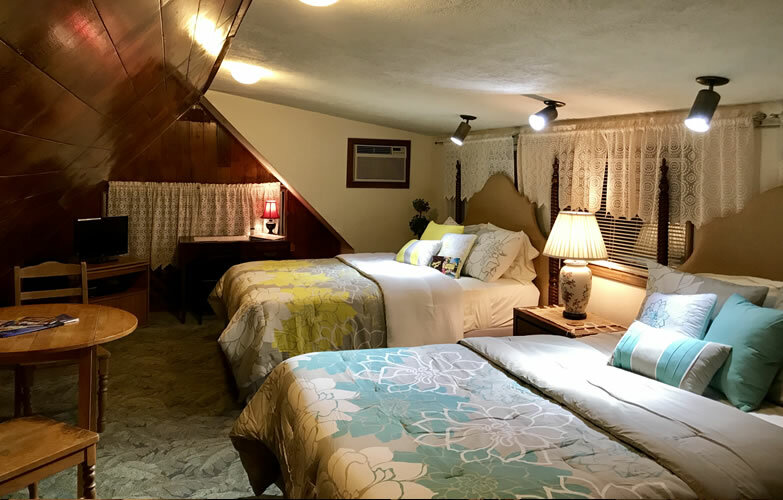 This Inn is not touchy or fussy, it is 1970 - 80’s virtual Hawaiian Plantation House that feels a hundred years old with a gentle spirit of peace and aloha at a very reasonable price. 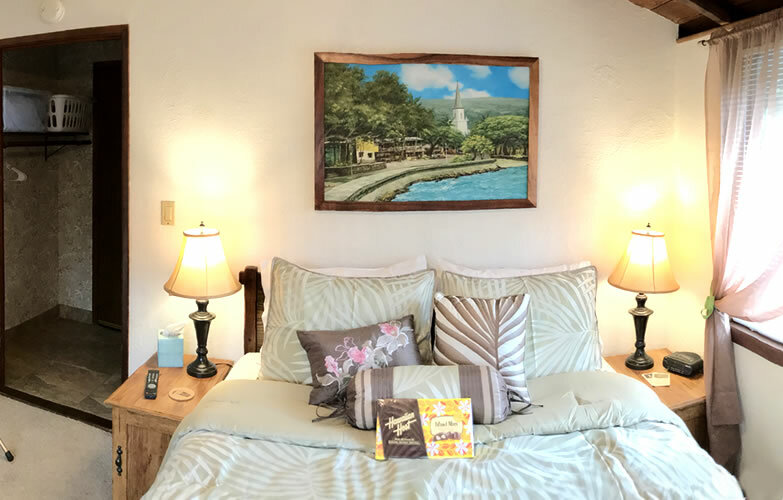 If you like clean, simple down home organic comfortable living with sage advice when requested, you will love Hale Maluhia Country Inn (house of peace) Kona. 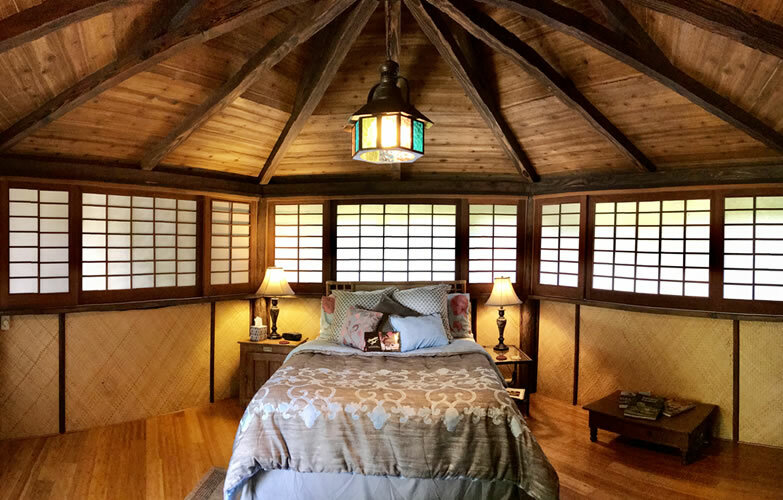 Dave and Miriam Cariveau purchased Hale Maluhia in 2017, realizing their dream of living in Hawaii and managing their own B&B. Dave was an accountant on the mainland and Miriam worked at the English Rose Tea Room in California before they moved their family to Hawaii. Miriam draws on her extensive experience in hospitality and applies those same principles as an owner when it comes to ensuring the comfort and enjoyment of their guests. Dave and Miram live at the Inn with their 4 boys, while 3 adult daughters are living in California. Life is good in Hawaii, here we share some of the latest happenings around Kailua Kona and the Big Island.